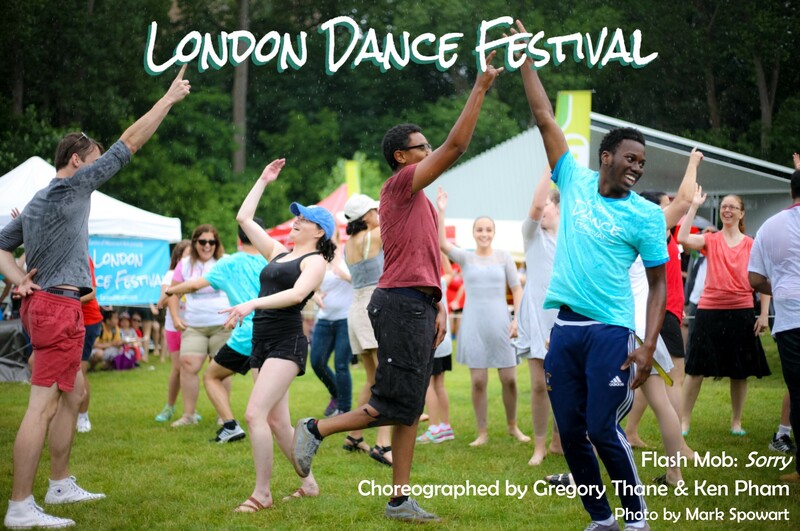 Join us in celebrating the diverse talents of London’s dance community! 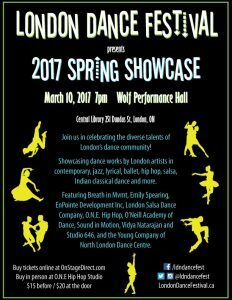 The Spring Showcase will present dance works created and performed by London artists in a variety of styles. See choreography in contemporary, lyrical, ballet, hip hop, salsa, bharata natyam (Indian classical dance) and more on the stage of the Wolf Performance Hall. Featuring: Breath in Mvmt, Emily Spearing, EnPointe Development Inc, London Salsa Dance Company, O.N.E. Hip Hop, O’Neill Academy of Dance, Sound in Motion, Vidya Natarajan and Studio 646, Young Company of the North London Dance Centre.